Marilyn’s old studio, Twentieth Century Fox, is launching a line of fragrances named after her most famous movies, and a promotional video has been created for the first perfume, How to Marry a Millionaire, reports Wales Online. “Twentieth Century Fox Consumer Products developed a new collection based on the portfolio of 12 Hollywood film titles featuring Marilyn Monroe. 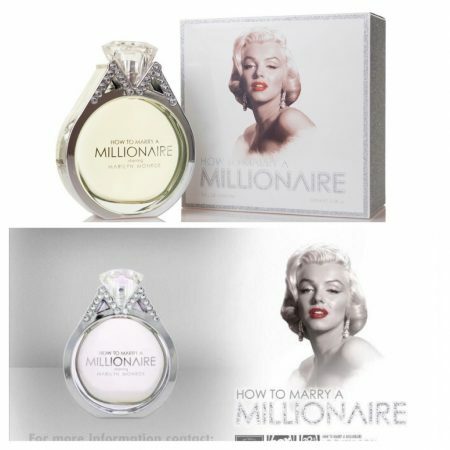 Bristol-based fragrance specialist Designer Fragrances then launched the How to Marry a Millionaire inspired women’s fragrance and gift sets in stores across Europe.